President Obama’s June 15 announcement on deferred action for DREAMers raised a number of questions about what it means and how it will be administered. One of the biggest questions is regarding military service. According to the DHS memo, among those eligible to be granted deferred action are an individual who is an “honorably discharged veteran of the Coast Guard or Armed Forces of the United States.” Then, during his speech to NALEO, GOP presidential candidate Mitt Romney stated that he would support a path to legal residency for “those who have risked their lives in defense of America.” The language of the DHS memo compounded by Romney’s remarks led some to believe that undocumented immigrants could serve in the military and therefore qualify for deferred action or some sort of legalization program. But this is not the case. There are serious questions about whom and how many would qualify for deferred action through the military route. Some suggested that as many as 30,000 people would qualify. However, in reality, the answer is closer to zero. 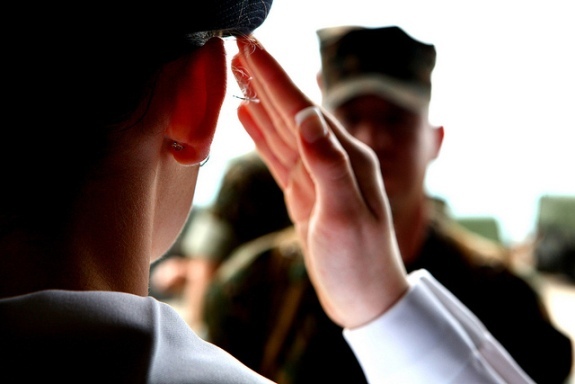 The U.S. military does not knowingly allow unauthorized immigrants to serve. According to Margaret Stock, author of Immigration Law and the Military, U.S. law limits military enlistments to U.S. citizens; U.S. nationals; lawful permanent residents; certain lawfully present persons from Palau, Micronesia, and the Republic of the Marshall Islands; and certain other persons whose enlistment has been determined by a Service Secretary to be “vital to the national interest.” There may be a few undocumented immigrants who served in the military when the system for checking documentation was more lenient. However, they are likely to be over 31 years old and therefore ineligible for deferred action. Furthermore, non-citizens who have served in the military since September 11, 2001 are eligible to naturalize and therefore generally don’t need deferred action. The Obama administration has acknowledged that “few, if any, individuals will fall into this category.” The 30,000 number, instead, refers to the estimated number of immigrants who would join the military and qualify for legal status under the DREAM Act. Unlike deferred action, if it were to pass, the DREAM Act would grant conditional residence to qualified immigrants who could then join the military or go to college and earn permanent lawful residence. According to Stock, there may be a handful of people who would qualify for deferred action under the June 15 announcement–for example a person who joined the military before 9/11, did not naturalize, was honorably discharged, lost his immigration status, and is still not 31 years old–but these are few and far between. Non-citizens who served in the military, were honorably discharged, and have questions about whether they qualify for deferred action should contact an immigration attorney. Photo by Commander, U.S. 7th Fleet.